The building was unfortunately falling apart due to a fire back in 1965, and started to show signs of wear and deterioration on the roof and stain glass facade, both of which were demolished to make way for the upcoming project. The design in the new rendering is comprised of a mix of vertical columns encased in what looks like dark paneling, terminating towards the upper floors. Those yield to glass that stretches the full height of the building, up to the penthouse units and the outdoor terrace. 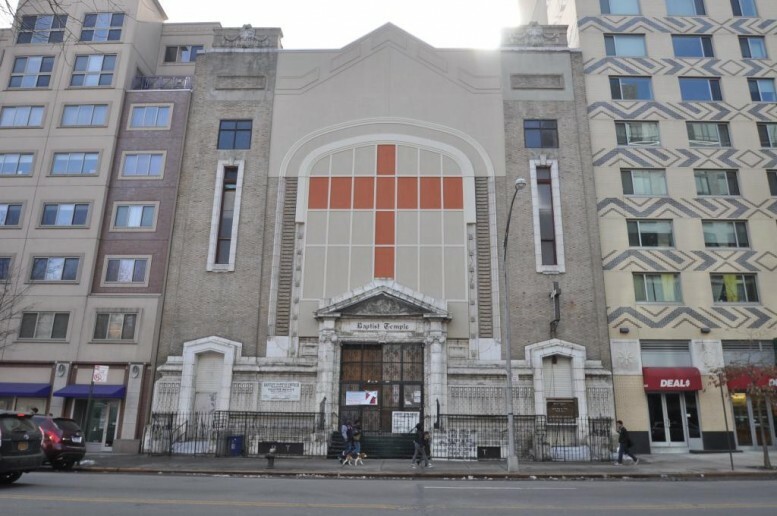 The Harlem Baptist Temple Church will return to the 7,000 square foot site, and occupy 5,800 square feet on the cellar and ground floor of the new building. The 28 residential units will be located up above. Units will average around 1,055 square feet apiece, with some levels housing three to four residences per floor. The 10th and 11th floors will have a penthouse duplex and the rooftop terrace for residents. 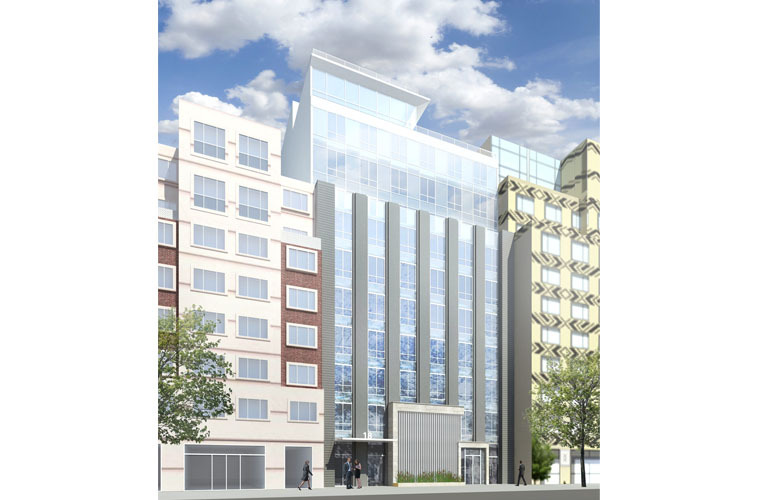 1 Comment on "Updated Rendering Revealed for 20 West 116th Street in Harlem, Manhattan"
Please pardon me for using your space: When it has been showed. Oh! Wow very attractive columns.